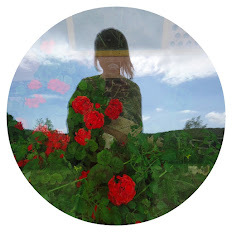 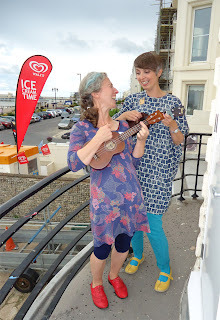 Ivy Arch: Happy birthday Wukulele! 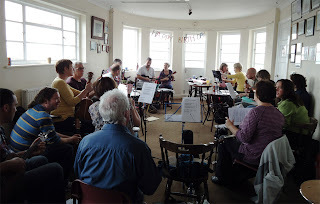 Wukulele celebrated it’s second birthday today. Congratulations to Harriet and all the merry strummers of Worthing! 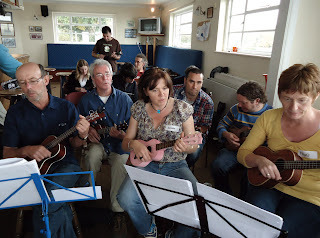 Half-way through today’s uke jam, as we belted and plucked our way through a rousing rendition of Green Door I realised there’s no place I’d rather be than sitting in the art-deco building that is Worthing Rowing Club, enjoying panoramic sea views and making music with a bunch of lively, happy ukulele lovers. Here’s to many more years of Wukulele joy.